Bee Treasures Royal Jelly is harvested from remote, uncultivated regions. This is to avoid pesticide contamination caused by agriculture. It contains a high percentage of 10-HDA, in the range of 5.7 to 6.1%. Royal Jelly is the "milky" substance specially produced by nurse bees for the nourishment of their young and is the staple diet of the queen bee. Generally, fresh royal jelly contains only 2% 10-HDA and needs to be refrigerated. 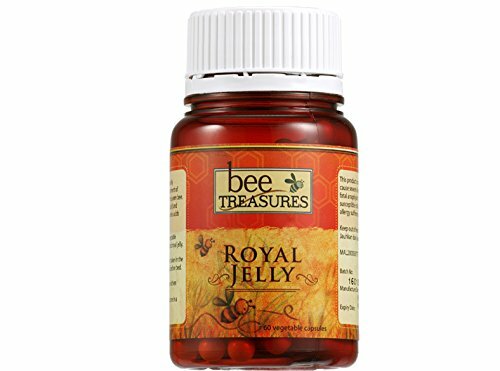 Liquid royal jelly in soft gel is reconstituted lyophilised royal jelly with soy and lecitin. Royal jelly in softgel may contain less 10-HDA than the pure lyophilised royal jelly. Helps improve vitality and enhance resistance to diseases. Stable, easy to carry and convenient to use. Royal jelly is rich in 10-HDA (a beneficial fatty acid) and nutrients such as vitamins, minerals, amino acids and beneficial enzymes.